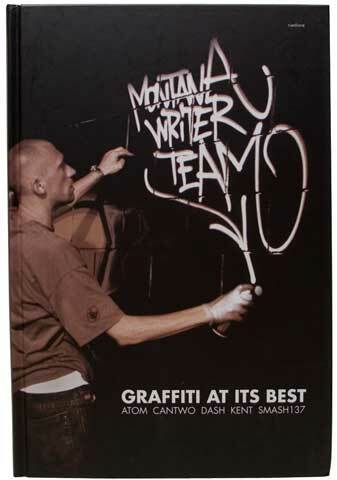 This book invites the reader to peer beneath the covers and into the pages of the black books of some of the world's top graffiti writers. Usually reserved for a small personal cadre of fellow “graff” artists and enthusiasts, these sketches are now available for those looking to explore the processes and skills behind the art of the streets. From improvisational, off-the-cuff sketches, scribbles and outlines to more intricately conceived and executed pieces, it reveals how writers work out their ideas for dynamic letter construction on paper. This 160-page hardcover book features 150 color illustrations and measures 8-1/4"w x 9-3/4"h.